Southwind RV Park is a 40 pull-thru site RV park with full hookups located in Oklahoma’s panhandle in Guymon. The park offers 30 and 50 amp electric service, and on-site facilities include showers and restrooms 24 hours a day as well as coin-operated laundry and free Wi-Fi that can be connected to in most places. Children will enjoy the playground with a volleyball court, basketball hoop and a rec room. Both a telephone and security can be found on-site. Southwind RV Park also offers tent sites for those who would like to experience the great outdoors in Guymon first hand with all the comforts of Southwind RV Park. Monthly and weekly rents are available. Southwind RV Park is a pet-friendly spot to hook up your RV, but please keep your loveable beasts on a leash when outside your cab. 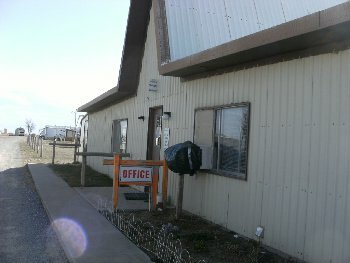 Located 1 miles west of Guymon on Hwy 54.